This week we start off in the booth with the custom valance in sealer! We couldn’t use the sticker grill that comes with the kit on after doing all custom work on the lower valance, so we machined this custom Cadillac inspired grill! It’s pretty hard to beat this front end! The custom touches our fab department did with the are amazing and the custom body is super cool. This cart has a mean but very classy look to it! This cart just keeps getting better and better! Our SC Carts countour seats are awesome! 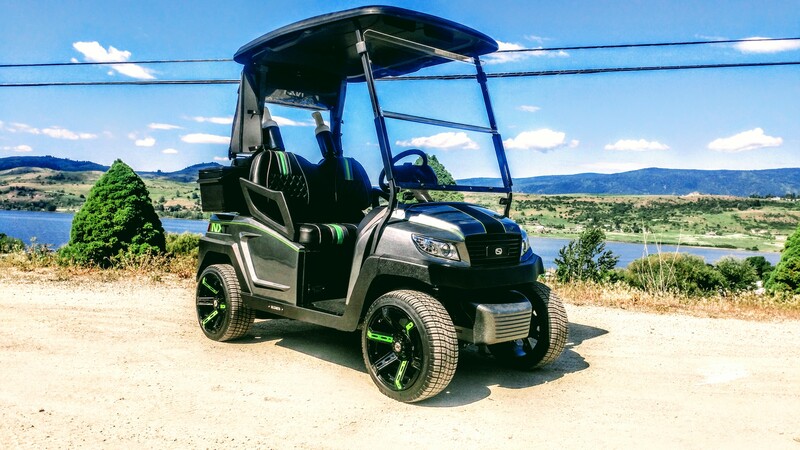 The tunes in this buggy will be handled courtesy of the Soundstream and MTX! We are going to tuck them cleanly into this custom headliner! This custom Club Car Precedent is coming right along and will certainly be the nicest one in the neighborhood, we can guarantee that! Come back next week as we put the finishing touches on this buggy and get it out on the road for a test run! Are you caught up on part 3 of this build?